Adrales has worked with some of America’s most innovative playwrights, including Tom Bradshaw, Tommy Smith, Dael Orlandersmith, A. Rey Pamatmat, Lauren Yee, David Henry Hwang, Lisa Ramirez, Ashlin Halfnight, and Betty Shamieh, and around the country at Actors Theatre of Louisville, Goodman Theatre, Williamstown Theatre Festival and Pan Asian Rep.
She served as Director of On Site Programming at the Lark Play Development Center (2008-2010), developing programs to support and nurture over 200 playwrights. She served as an Artistic Associate at The Public Theater (2006-2008), spearheading the Shakespeare Lab, a professional conservatory and overseeing community engagement programs in the outer boroughs. A graduate of the Yale School of Drama, Adrales has received numerous awards and fellowships, including the Stage Directors and Choreographers Foundation’s inaugural Denham Fellowship and a TCG New Generations grant. She spoke with Works by Women about OLIVES AND BLOOD, what’s next on her schedule and the myriad of women who inspire her. WORKS BY WOMEN: What type of plays interest you? 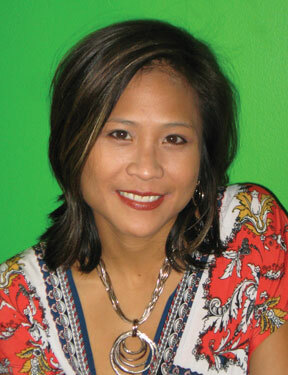 MAY ADRALES: Plays that have some meat on them – that are about hefty emotional or political themes. Plays that push the boundaries of language and theatricality — but also have a keen sense of humor and wit. I tend to gravitate towards plays that make me learn much more about myself and the world than I did before I read it. WBW: What have you learned from working on OLIVES AND BLOOD? MA: Well, certainly much more about the Spanish Civil War. And also the work of Lorca. The play is also challenging to direct with its poetic heightened language and the theatrical collision of dreamscapes and past and present realities. WBW: What should audiences know about OLIVES AND BLOOD? MA: The play focuses on 1930s Spain and the aftermath of a horrific civil war. But the message can be translated to now – Egypt, Syria, China. The pen is mightier than the sword. WBW: You’ve worked at various theaters across the country (ATL, Goodman etc). What’s it like working outside of New York? How do you like it? MA: It’s hard to travel so often, but I do love getting to know different audiences and different theaters. I find myself incredibly focused when I work out of town, away from the buzz and social pressures of NYC. I focus solely on the play and really getting to know my company of actors and designers. WBW: Whats next for you? MA: I’m directing the world premiere of Katori Hall’s WHADDABLOODCLOT!!! at Williamstown Theater Festival. MA: There are challenges for every director, regardless of gender. The same pressures of success and fear of failure exist for both men and women. I almost never attribute any pitfall or challenge I face as a director to me being a woman or a minority. My dad who raised four ambitious and rambunctious girls helped me believe that there were no obstacles because of my race or gender. I guess even though there are definitely some obstacles, I try to just focus on doing the best at projects that I love. MA: The fearless women of the theater — Diane Paulus, Katori Hall, Wendy Goldberg, Suzan-Lori Parks, Carole Rothman, Elizabeth Diamond, Robyn Goodman, Mia Katigbak, Jenny Gersten, Tisa Chang, Julie Crosby, Theresa Rebeck, Emily Mann and Teresa Eyring. All these women and the many women to whom they mentor. It’ll be a whole new landscape soon. 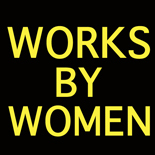 This entry was posted on June 19, 2012 by worksbywomen in Interview, Theater, Women and tagged interview, May Adrales, theater.